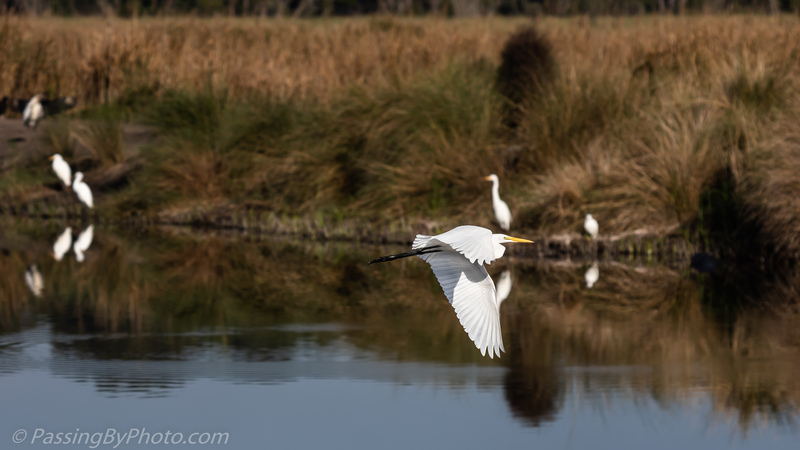 Great Egrets spend a lot of time standing and watching. Occasionally one in a group decides to relocate; this one took a loop over the pond. There were a number of Alligators and Vultures sunning along the bank. The bank slopes up to one of the dikes we often walk on and there is another canal just on the other side. 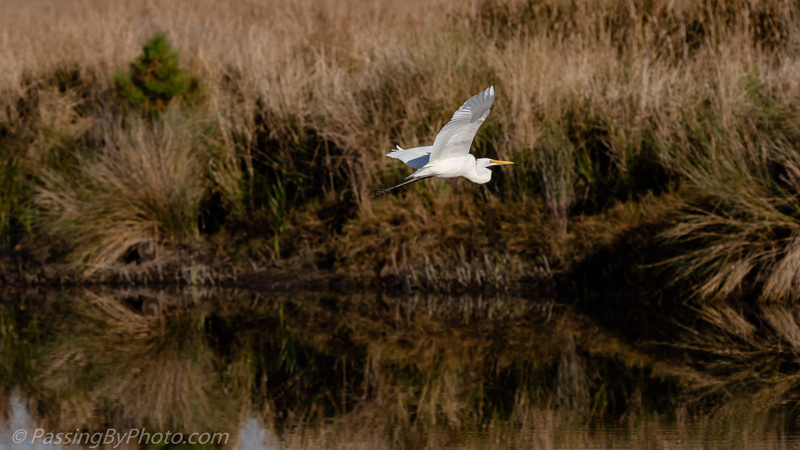 This Great Egret kept on going over the dike and down into the marsh on the other side. 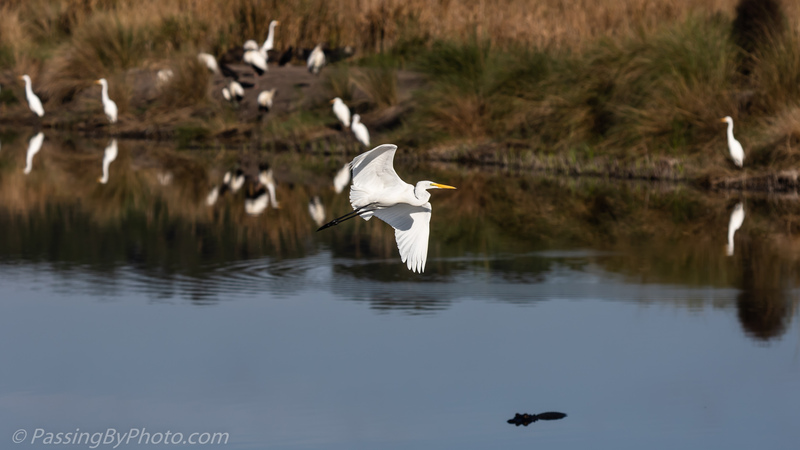 The last capture is beautiful, the egret’s flight and the water reflections!